Cypress v. Colvin, a case from the United States Court of Appeals for the Eight Circuit, is an appeal from the District Court’s decision to affirm the denial of claimant’s Supplemental Security Income (SSI) benefits. Essentially, a claimant can file an application with the United States Social Security Administration (SSA), and if that application is denied, the claimant can file a series of written appeals and eventually be granted an evidentiary hearing before an administrative law judge (ALJ). If an ALJ denies benefits as well, the claimant can file a request for review with the SSA appeals commission, which is essentially an in agency review process. However, review at this level is discretionary, and the SSA can decide not to hear an appeal. If the request for appeal is denied, or of it is granted and the appeal is denied, the next step is to file a case in the United States district court for the district in which the SSA office that denied an application is situated. If the district court affirms the denial by SSA, either by ALJ or through the appeals commission, the next and most likely final step is to file an appeal with with the United States circuit court in which jurisdiction is proper. In the case of an SSI appeal or Social Security Disability Insurance (SSDI) appeal in Boston, your experienced attorney would be required to file the case in the United States Court of Appeals for the First Circuit. In this case, plaintiff filed for both SSI benefits and SSDI benefits, and his applications were denied. He appealed to the district court, and after that court affirmed the denial of benefits, claimant appealed to the United States Circuit Court for the Eighth Circuit. The main issue in this appeal is that SSA disregarded the opinion of a nurse practitioner that claimant was unable to work. 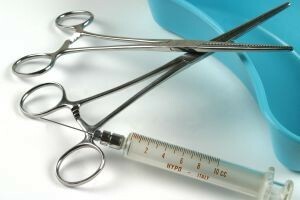 The argument was that in order to disregard the opinion of a treating physician, or in this case nurse practitioner, there must be substantial record of evidence that the opinion is not credible in this case at bar. However, as the court noted, the nurse’s opinion that he cannot work is not a medical fact, but rather a legal conclusion within the context of a Social Security disability case. It is up to the medical health professional to describe the physical condition and the physical limitations, but the decision as to whether a claimant can work or not is up to the finder of fact (ALJ), as that it is a legal conclusion. For example, a doctor can say claimant cannot lift ten pounds because that is medical fact, but that does not mean he or she can say claimant lacks the ability to work in any job. The court ultimately used this logic to affirm the lower court’s denial of benefits, as it was this court’s opinion that, based on the evidence in the record, plaintiff had a residual functioning capacity (RFC) that allowed claimant to work.